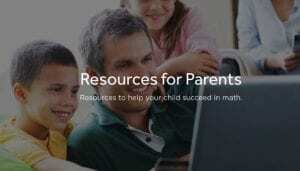 can help your child at home. 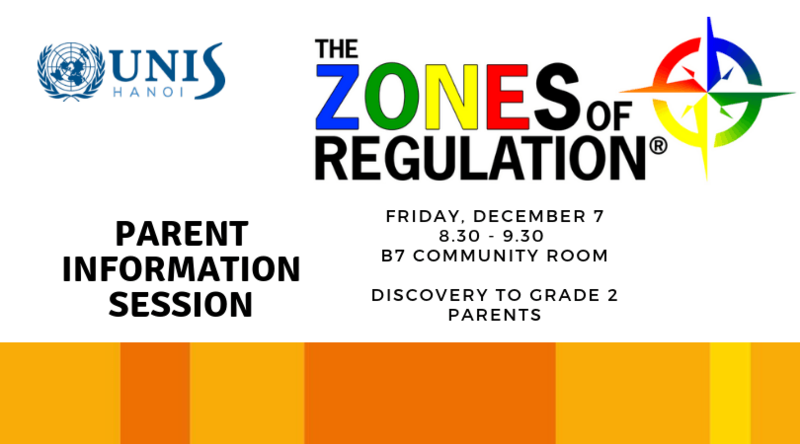 Parents of students in Discovery to Grade 2 are invited to join the D-2 counselor, Kris Bezzerides on Friday, December 7 at 8.30am (B7 Community Room) to learn more. Parents, have you ever wondered what math class looks and feels like at UNIS Hanoi or how to support your students at home? Join us for an informal and interactive conversation about the mathematics’ development at your child’s grade level. We will discuss the what and why’s about mathematics instruction and how learning can be supported outside of school. Special Maths Coffee Mornings for D/K1 and Grade 1 are on the dates below. Both sessions will last from 8:30-9:30 in the Creativity Space across from the Grade 4 classrooms. Please contact your child’s teacher if you have questions. Our Elementary Student Council has decided to support the Middle School and High School Spirit Week by participating in a fun dress up day next Wednesday October 31st. Costumes should not completely obscure a student’s identity. 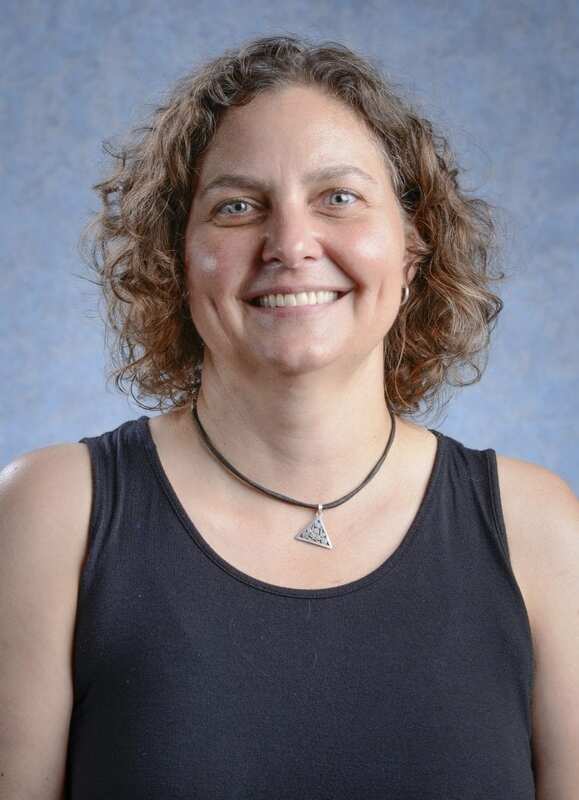 Staff members must be able to identify students. Eg. Full face masks should not be worn. Students are encouraged to be creative in their choice of costume. Costumes should not be frightening or gory. Remember that UNIS student ages range from 3-18. Costumes should be appropriate for the full school community. Fake weapons are not allowed. No military-style costumes. Costumes that could be offensive or perpetuate a stereotype of someone’s culture, gender, heritage, or religion are not permitted. 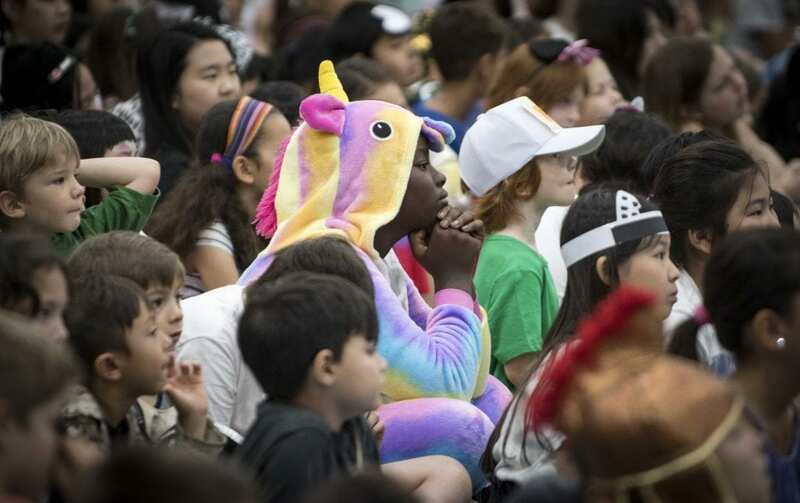 Costumes should not hinder a student’s ability to participate in their classes, including P.E. Costumes may not disrupt learning or present issues of safety. Students wearing questionable costumes will be asked to change into normal school attire. A change of clothing for all students is required. Remind students of their audience in the school (students, teachers, parents, community members,). This is a school—what may be appropriate in pop culture or the media may not be appropriate for a place of learning. We are a community, and we want students to think about how their costume choice may impact others within this community. Thank you for taking the time to help our students understand these guidelines. Deputy Principal – Upper Elementary School. Please kindly note the following events have been changed in the the ES Calendar. 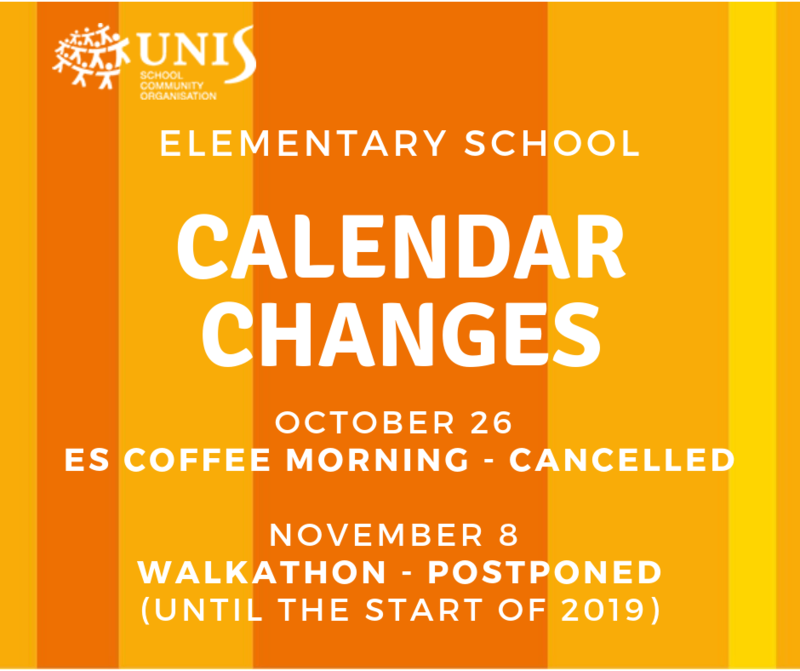 November 8 Walkathon (postponed until the start of 2019). More information about the Walkathon to follow. We apologies for any inconveniences. 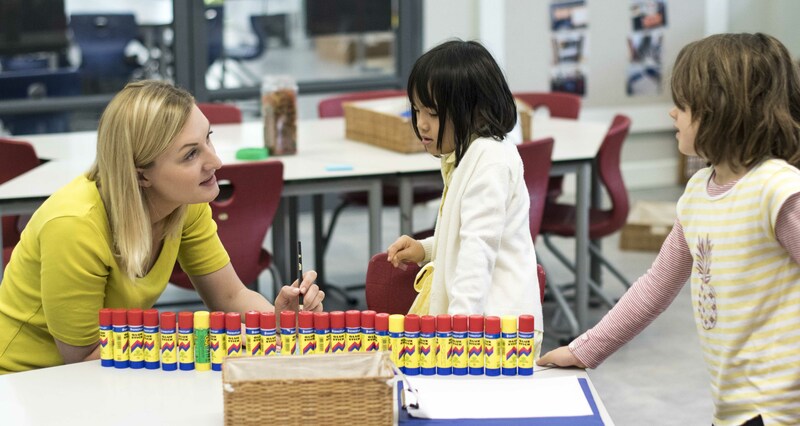 Should you have any questions please contact us at elementary@unishanoi.org. Students are settling into their classes and are off to a fantastic start as they develop their classroom and grade level communities. The routines and expectations being put into place now will set up students for success throughout the entire year. 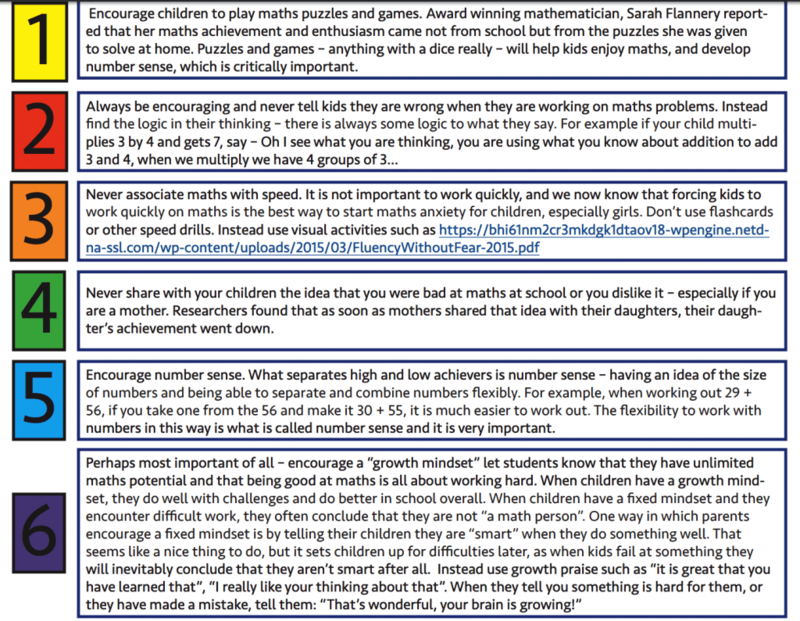 Positive attitudes and beliefs about learning mathematics are the key to a creating a healthy learning environment that will help all learners develop a deep understanding of the mathematical concepts being taught at each year level.